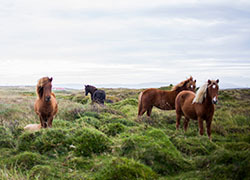 If you are looking for somewhere to explore then Devon won’t disappoint as we are have a variety of beaches, National Parks, family days out and National Trust properties - you will be spoilt for choice. 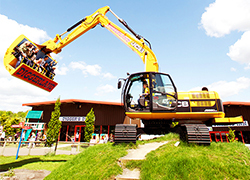 For those who just love a digger or JCB then Diggerland is well worth a visit, as you and your children can actually drive and play on loads of JCB's and themed rides. 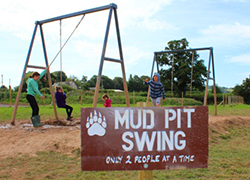 The Bear Trail is brand new and is an adventure trail for children and adults who want to challenge themselves. 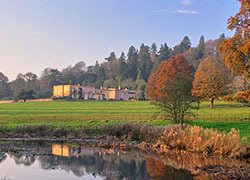 It is excellent value for money and only 5 minutes away. 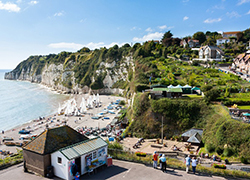 Beer is a picture-postcard village on the Jurassic Coast. This is the perfect place to hop on-board and catch some mackerel. 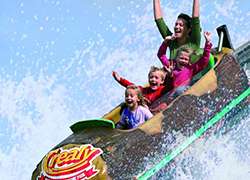 The North Devon coastline and beaches are perfect for surfing or body-boarding. Saunton Sands and Croyde are popular sandy beaches. 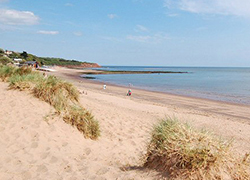 Exmouth beach is always popular with our guests as it has two miles of golden sand and a variety of water sports on offer. 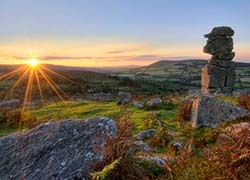 Exmoor is an unspoilt area of moorland, woodland, valleys and farmland. Tarr Steps is particularly popular. 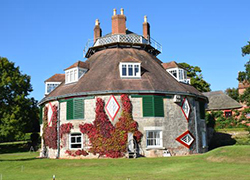 A la Ronde is a very unusual National Trust property as it has 16 sides and is famous for its fascinating interior. 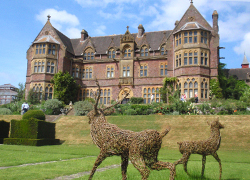 Knightshayes is a grand gothic style country house which a sumptuous interior and large landscaped gardens. 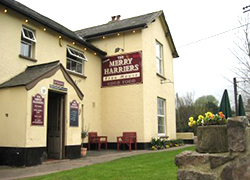 The Merry Harriers is our favourite local pub and offers a wide range of regional food from fresh fish to game and pub classics. It is also well known for it's Steak nights. 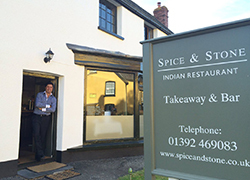 The newly opened Spice and Stone in Broadclyst is only 10 minutes away. It is an authentic Indian restaurant and takeaway and has a wide range of delicious dishes. 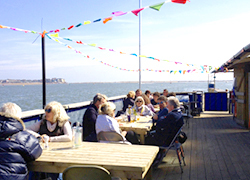 If you love seafood then the River Exe Cafe is for you! It is a unique experience as you catch a boat to the floating restaurant. It has award winning food. 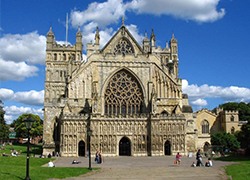 Exeter is full of things to see and do! From the Cathedral, to the the underground passages and the Princesshay Shopping Centre, there is something for everyone. The North Devon coastline and beaches are perfect for surfing. 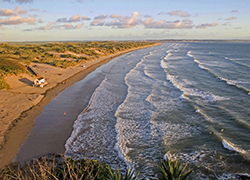 Saunton Sands and Croyde are popular sandy beaches.